By buying this product you can collect up to 614 bonuspoints. Christmas Add-On Car Set 2017, längd över buffertar 72 / 51 mm. Prototype: American boxcar and American caboose in a Christmas paint and lettering scheme. 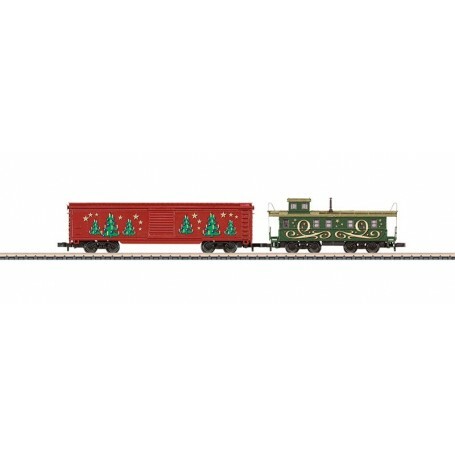 Model: The boxcar and caboose come in a Christmas paint and lettering scheme and are equipped with black solid wheels. Boxcar length 72 mm / 2-13/16', caboose length 51 mm / 2'. This car set goes with 81845, 81846, etc.